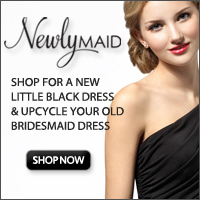 You are here: Home / Dresses and Accessories / Stella and Dot Special Occasion and Bridal Jewelry. Make a statement and stay on budget! Note – This post contains affiliate links, which means that if you click on one of the product links, I’ll receive a small commission. However all opinions and articles are my own. Yay, It’s your special day!! 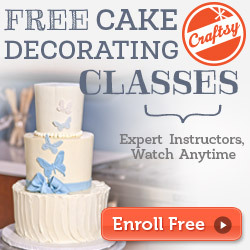 You’ve chosen the dress, the cake, the venue, the flowers, so what’s next? Your wedding jewelry of course! This is a fun opportunity to take your bestie, mom or future mother-in-law out for some bonding as well as a time to choose the pieces that reflect you!I have some helpful tips for you as you plan your wedding jewelry. Your wedding gown is one of the centerpieces of this special day and you want your jewelry to complement your dress, not clash. 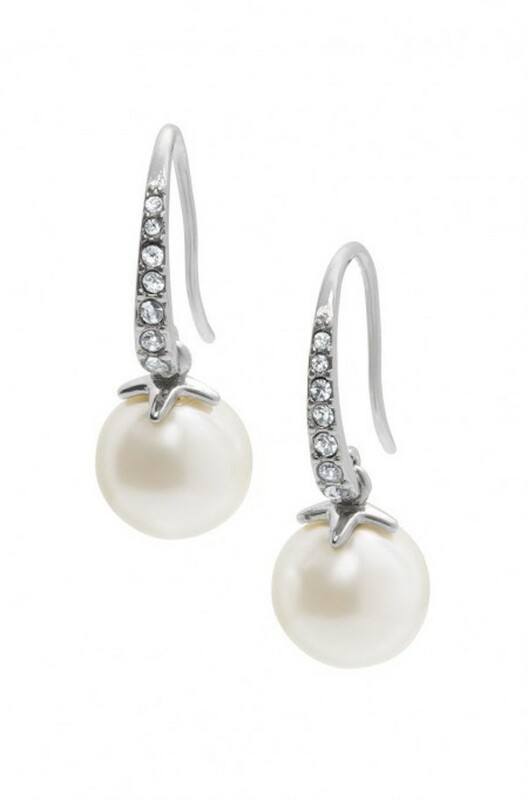 For a traditional white gown stick with softer hues like platinum settings and pearls. If you’re wearing an ivory gown yellow gold is a great way to bring out the undertones of the gown as well as stand out. 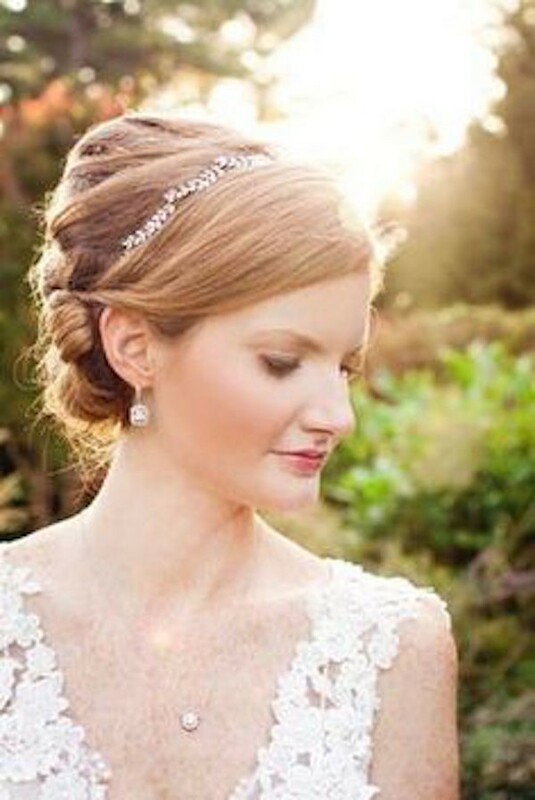 Diamond-white gowns work with any metal really, from yellow to rose gold to platinum, it’s very versatile! 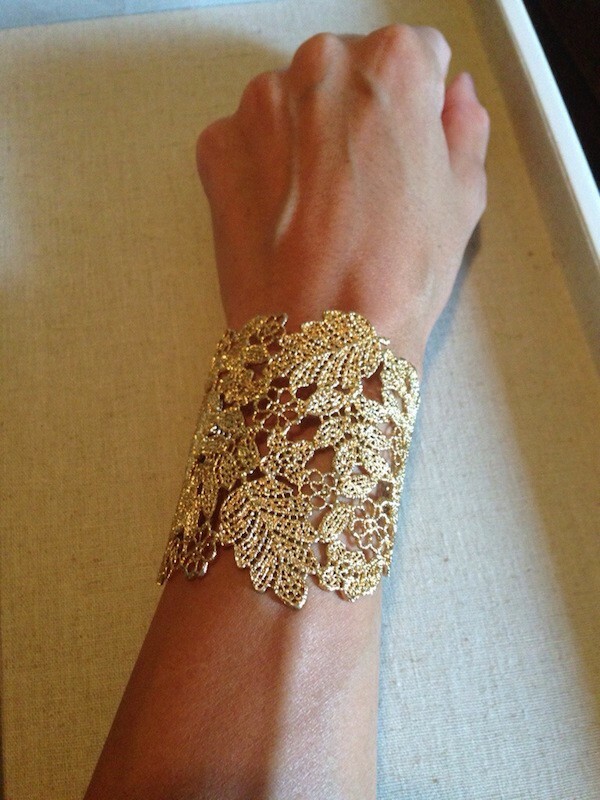 Your necklace and earrings are important but don’t let your wrist go lonely! For your cake cutting pictures, wedding ring pictures, and any close-ups a beautiful bracelet will not go unnoticed for sure! 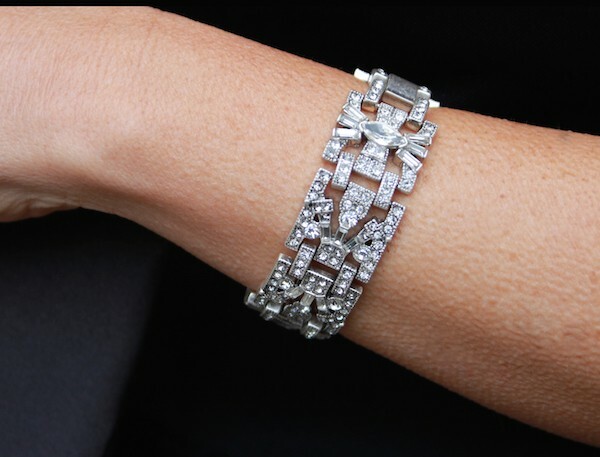 For a more traditional look, try a bracelet with lots of art deco sparkle which makes for a gorgeous vintage feel! Colored jewels like blue topaz (my favorite and something blue!) and peridot make for a colorful fun experience! 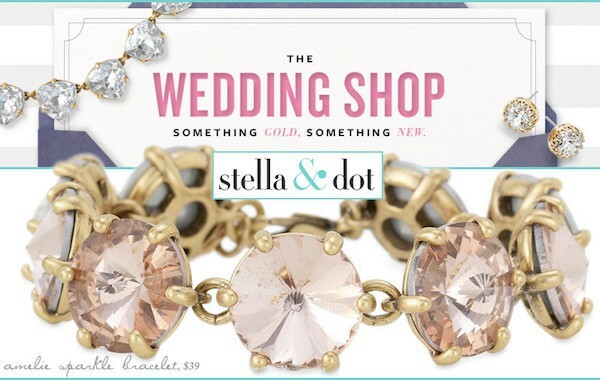 Check out these gorgeous and affordable Stella and Dot pieces! 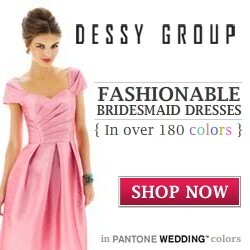 Maybe you will find something absolutely perfect for you wedding or special occasion. Click on any photo or highlighted link in text to shop! 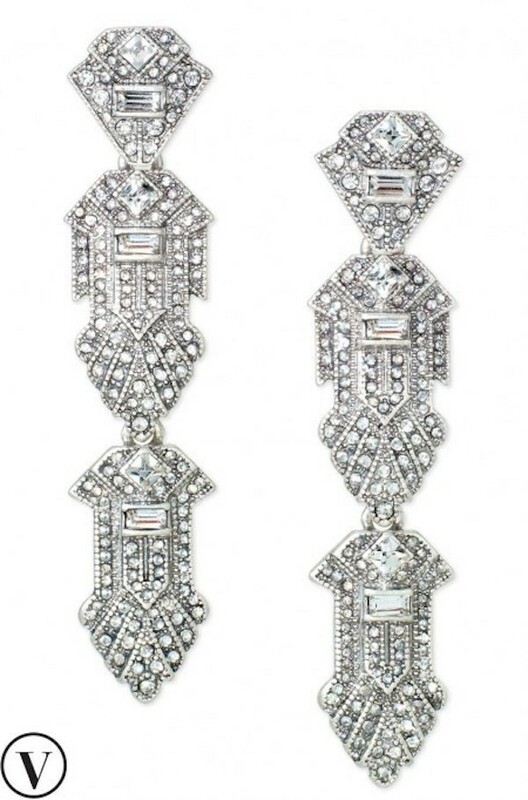 Deco faceted CZ and Czech crystals adorn delicate vintage inspired drops. These are amazing and probably my favorite piece! So pretty! 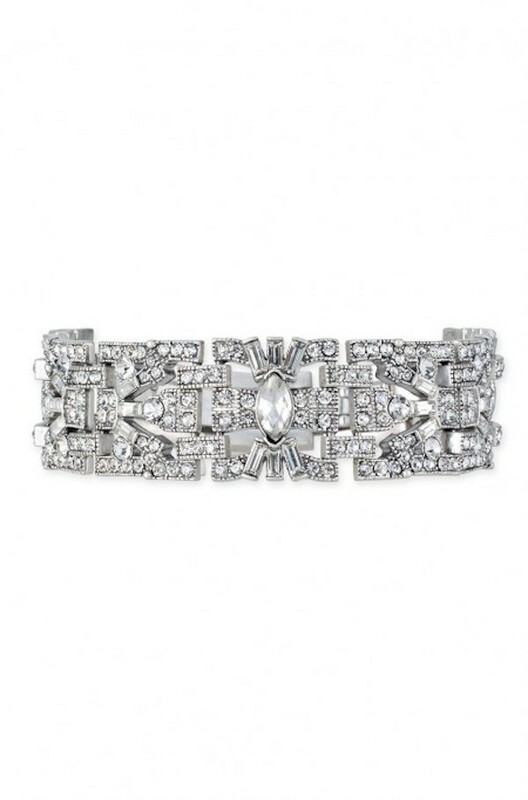 We adore this Art Deco-inspired statement bracelet. A beautiful combination of crystal and pavé stones set in a vintage-inspired pattern. Looks stunning alone or paired with the Vintage Crystal Bracelet for extra sparkle. 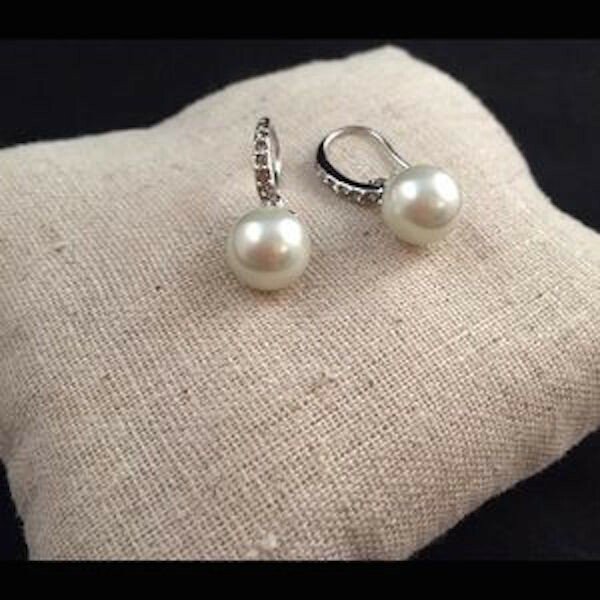 Gorgeous little classic pearl earrings! Perfect for that timeless finishing touch! Delicate glass pearls dangle from a rhodium ring with a touch of sparkle! Gorgeous little sparkly earrings. 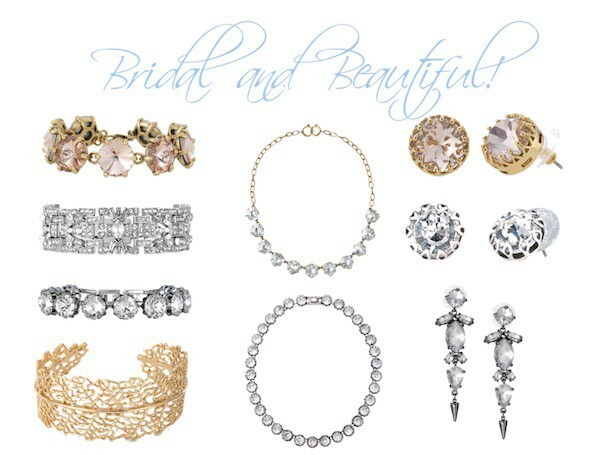 They come in Gold, Peach and Silver to approprately match your dress. A wardrobe essential that’s far from basic. 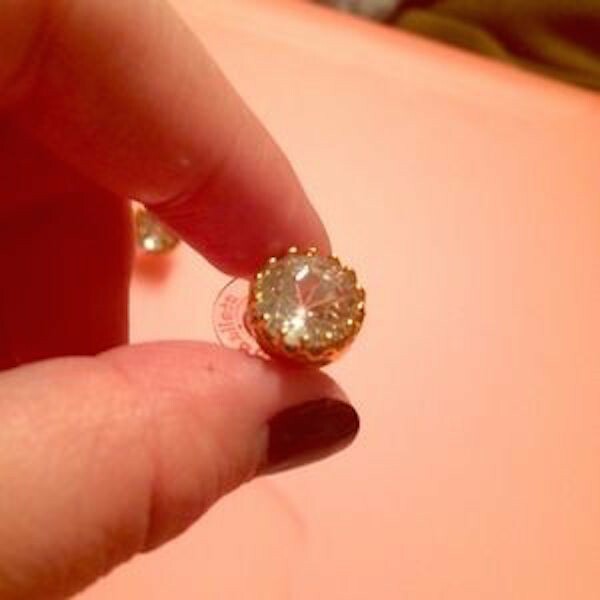 Round glass crystals are surrounded by prongs in gold plating. Wear them with everything, day to night. You can’t go wrong!! Perfect and classy. Faceted triangular glass crystals sparkle in this quintessential Somervell layering necklace. 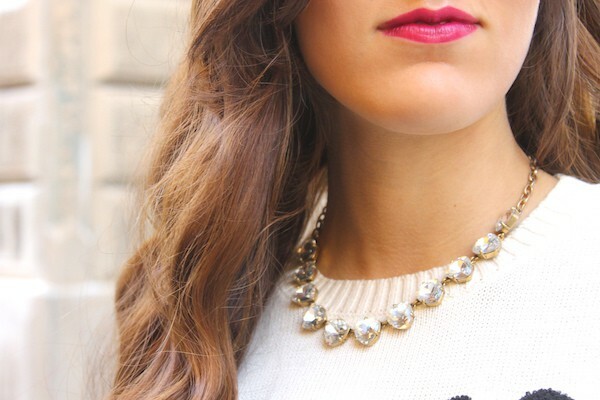 This crystal necklace transitions beautifully from day to night. 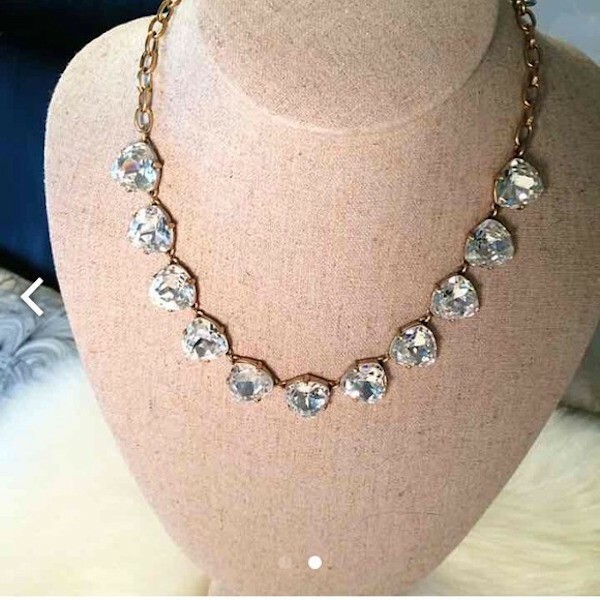 Add to several of our statement necklaces for that touch of sparkle! 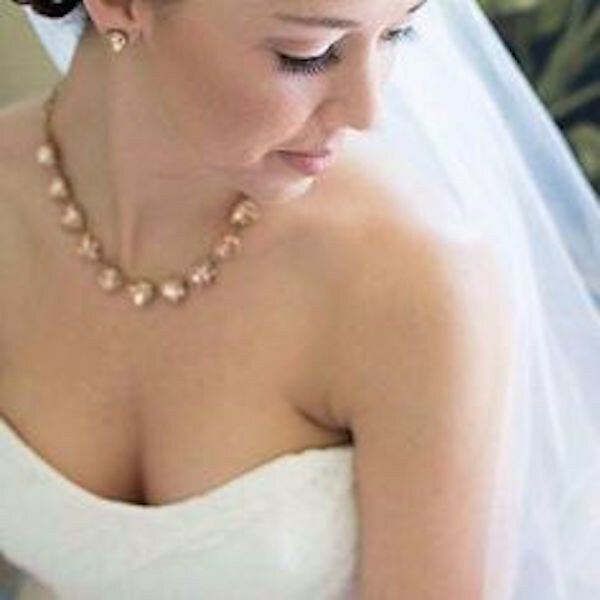 So elegant and has that pop of color..the peach looks gorgeous with an ivory dress and definitely compliments! These elegant earrings are hand cast from delicate leaves that Blythe found while in Northern California.Totally unique and artsy. 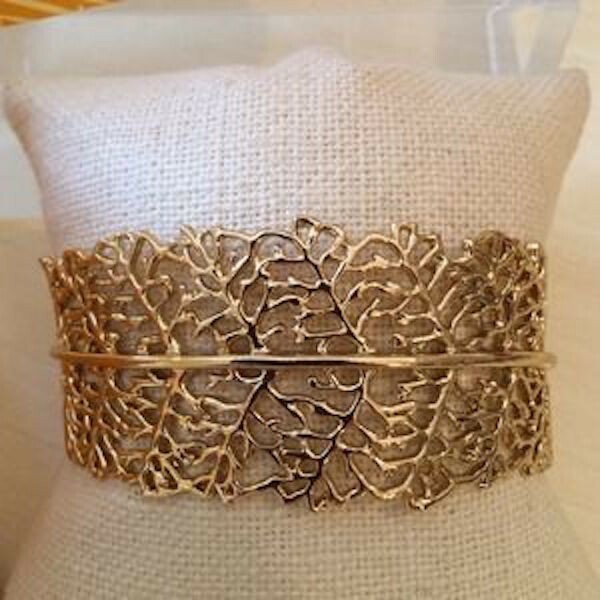 The natural fern design will add the perfect touch of romance to your look – can be dressed up or down. Perfect for a Bohemian and earthy style wedding! 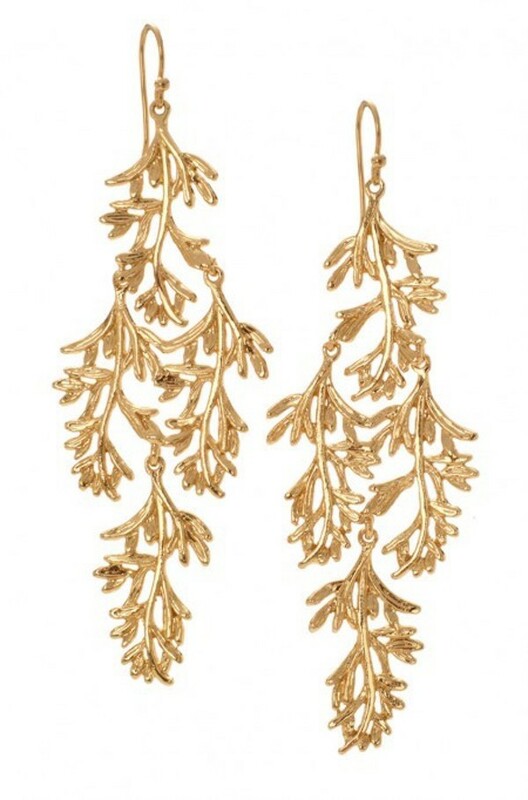 The gold natural fern design will add the perfect touch of romance to your look – can be dressed up or down. 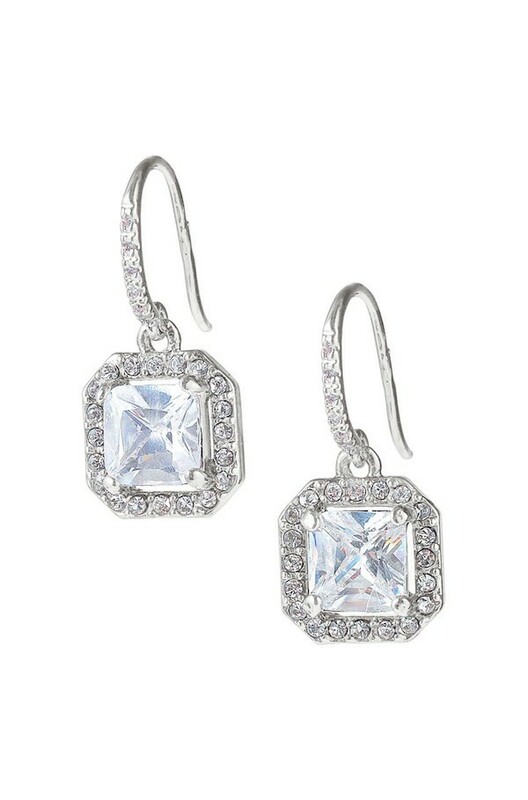 Pairs perfect with the Grace earrings (above)! 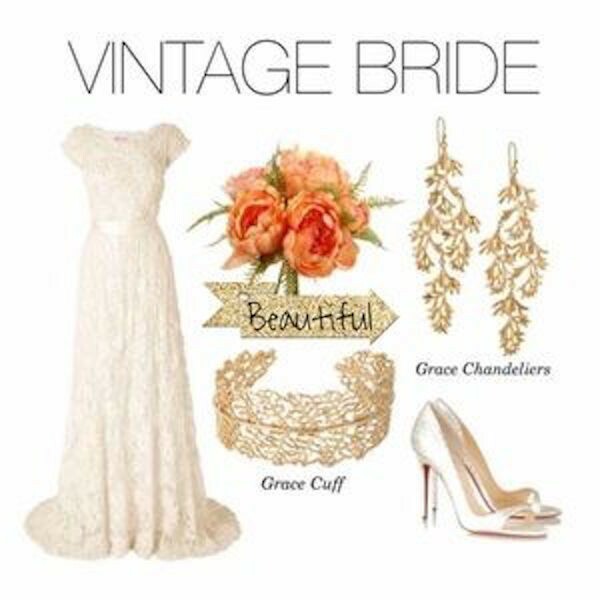 Amazingly delicate and so on point with Vintage flair. 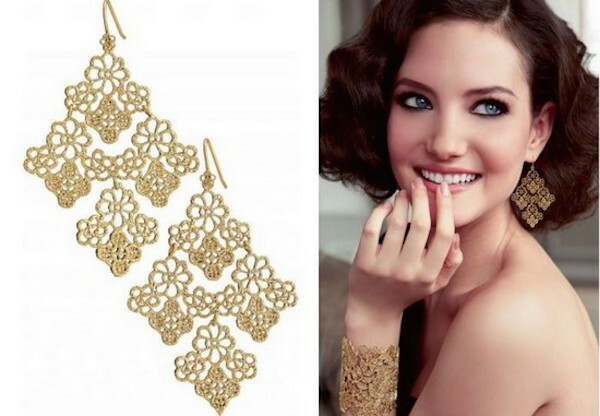 These gold plated filigree earrings were inspired by a piece of vintage lace. 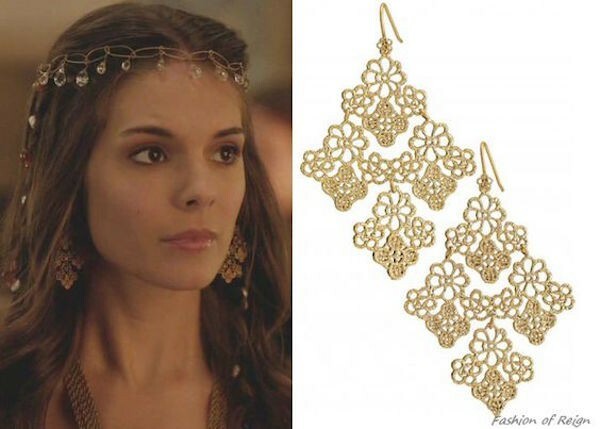 I just love these earrings so much! 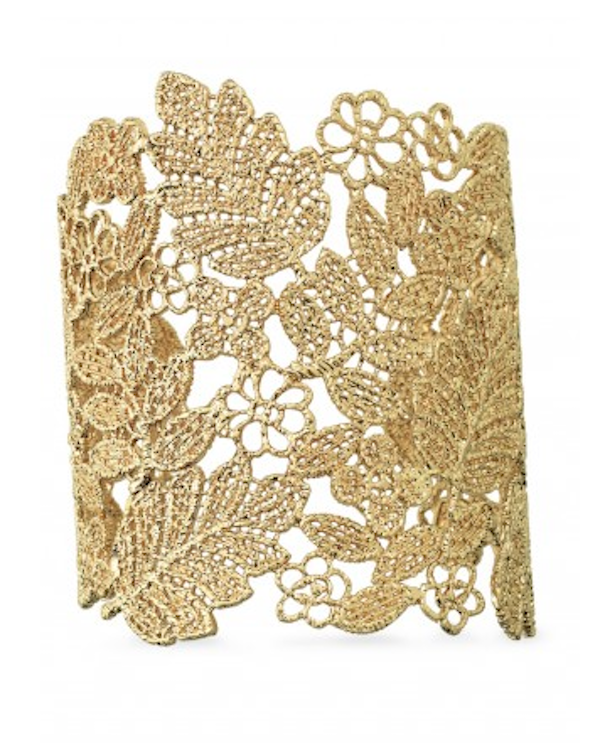 Matching the Chantilly lace earrings, this gold plated filigree cuff was inspired by a piece of vintage lace. A beautiful statement piece. Super cool and obviously can be worn after the wedding! Perfect for an edgy wedding with a hip statement bride. Enjoy shopping! Hope you find your perfect mate piece of jewelry! I must say it was hard to find your page in google.